I read these two books over the Christmas Vacation weekend. Both were great, but serve different purposes. 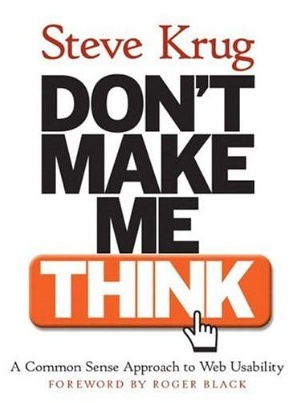 Don't Make Me Think is teaches us how to discover what works best in the applications we are building while Designing Interfaces is just a catalog of best practices. Designing Interfaces is great for developers who have to work in teams and would like a higher abstraction language to use commonly when discussing interface design patterns that might be used to solve specific design problems. This is as important as software engineering design patterns (flyweight, singleton) that can encapsulate a lot of information into a single word to make design decisions easier to make for a team. 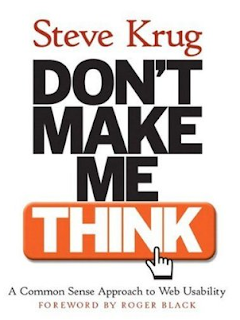 Once those decisions have been made, then the practices outlined in Don't Make Me Think let us determine whether our assumptions about the users is correct. Designing Interfaces is best skimmed through once and kept as a desk reference and Don't Make Me Think is best read cover-to-cover a few times over for content.